All our JUNGSTARS used forklifts have been meticulously refurbished by experienced technicians in our dedicated Dresden plant. Maximise performance and reduce costs. 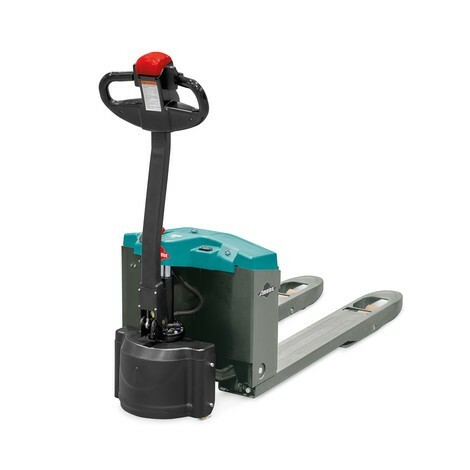 Our electric forklifts rule the narrow aisle warehouse, combing impressive performance with minimal energy consumption. Whether it's a seasonal fluctuation, unexpected breakdown or a last minute surge in demand, our Forklift Hire fleet is standing by to support your operation. Only pay for the hours when your forklift is in use with our Power Buy the Hour rental packages. Protect your employees, equipment and goods through accredited forklift and materials handling training courses from Jungheinrich. As good as new. 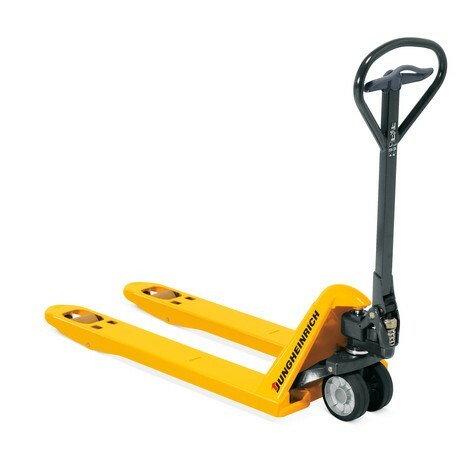 As good as Jungheinrich. 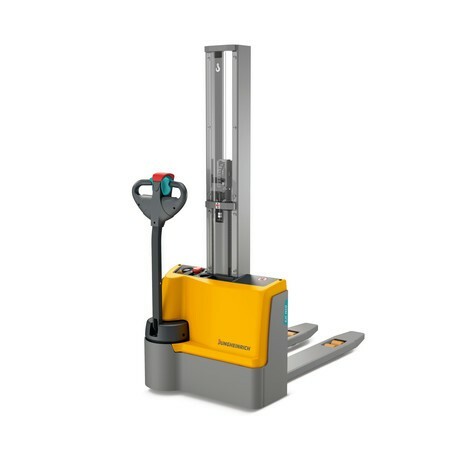 JUNGSTARS are used forklift trucks made by Jungheinrich that rank among the market’s best. 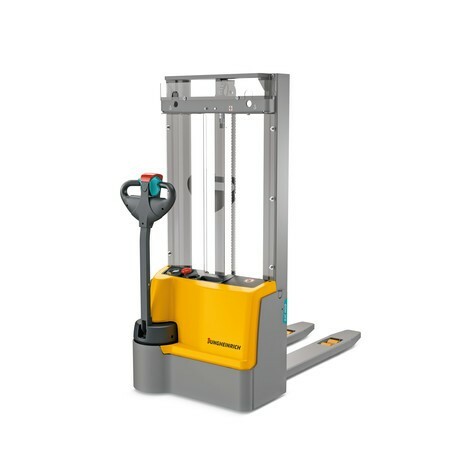 With their compact construction and impressive lifting capacity, our reach trucks ensure greater throughput in narrow-aisle warehouses. 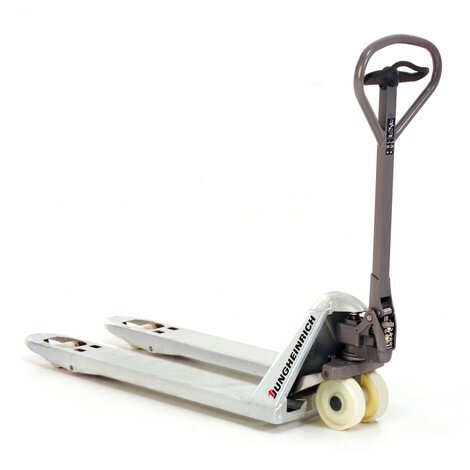 With our high rack stackers, you can easily handle entire pallets or individual items. Find out which is the right model for your warehouse. 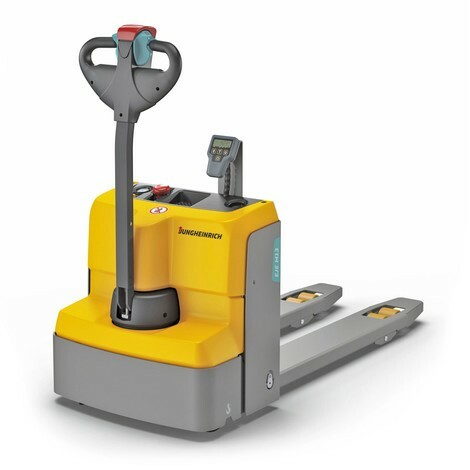 Safety and efficiency: Automated guided vehicles are an ideal means of optimising your logistical processes to suit your own specific requirements. Be it electric or combustion engine – we provide you with the perfect forklift truck for your warehouse. Download our new White Paper, produced in association with Sapio Research, to discover how Li-Ion technology is transforming the materials handling industry. 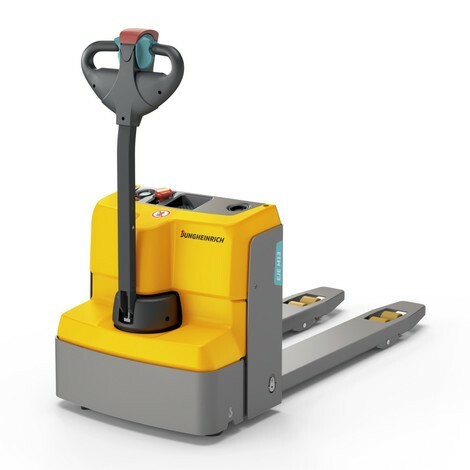 From warehouse systems to the implementation of digital processes and provision of custom forklift trucks – discover the inspiration for your future intralogistics solution in our case studies. Customised and tailored to your needs, since no two warehouses are the same. 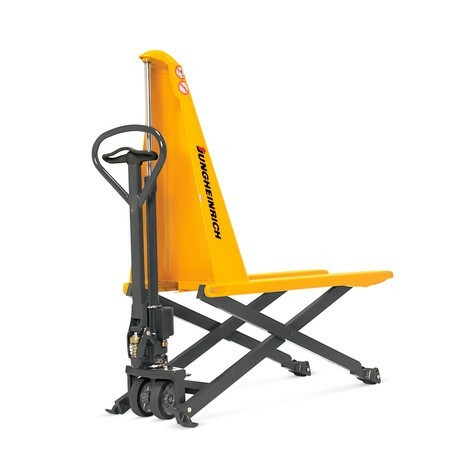 Jungheinrich UK PROFISHOP offers a wide range of warehouse products for industry and trade professionals. Find, choose and buy needed products in seven shop categories: lifting & stacking, transporting, storage, racking & shelving, warehouse & operations, environment, office. Efficient processes are crucial to the success of a company. That is why we have made intralogistics our passion. We ensure that you benefit from the most cost-effective products, systems and services for your requirements, irrespective of your industry or business size. Are you looking for an expert logistics partner with a wealth of experience in your sector? We offer comprehensive solutions to master your logistics challenges – with everything delivered from a single provider and tailored to your individual needs. Logistics tasks can be extremely diverse, encompassing everything from stacking and transport to storage, order picking and automation. Let us help you to find out which products, systems and services we can provide for your applications. A well orchestrated warehouse does not happen by chance. Jungheinrich AG is one of the world's most successful intralogistics companies. As a top employer, we also offer outstanding opportunities in a wide range of professional fields around the world.